Wow, time flies! Only 3 more hand print art alphabet craft posts to go after today. Today we are sharing W is for Watermelon. I love how bright and Summer-y it looks! I’m so relieved that it turned out exactly like I pictured in my head…hehe. In the past, we have made a paper plate watermelon craft that was a huge hit with my son at the time. Don’t forget, at the end of this post will be even more W activities to do with preschoolers! They may enjoy one of the watermelon books suggest in the letter of the week craft or practice letter recognition with a do-a-dot printable. Get your 3 paint color ready with separate paintbrushes for each: red, white, and green. Paint a strp of green paint along the bottom edge of the palm. Paint a white strip on top of that. Paint the rest of the hand with the red paint. We added a touch of pink paint to our red. Set aside to dry. Once dry, color on seed with a marker. You may also wish to add darker green stripes to the painted green strip (the peel). 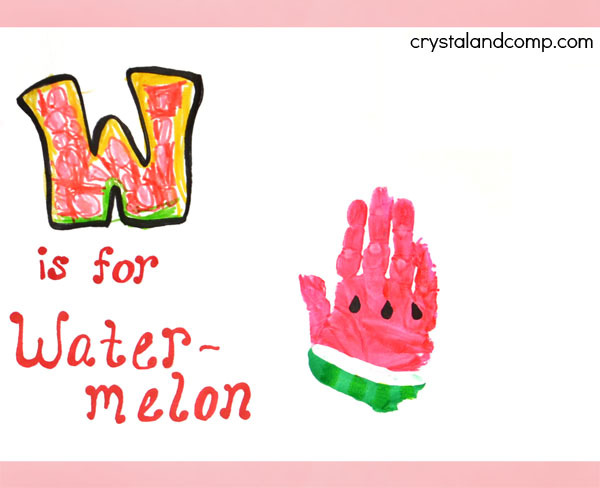 Draw a bubble letter ‘W’ and have the child color it like a watermelon. In Little Sister’s usual style, she made the seeds pink…tee, hee. I asked her why she chose to use yellow and she informed me that there wasn’t a white marker – too funny! 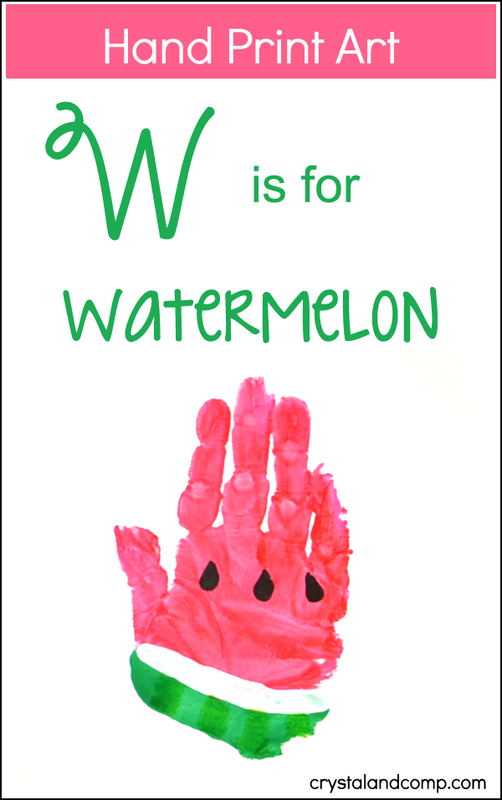 If you’d like, write ‘is for watermelon’ under the W.
What ‘Letter W’ activities have you done with kids in the past? Whale crafts would be fun to make too and also looks great as a hand print craft. Are you looking for more food ideas made with hands and feet? 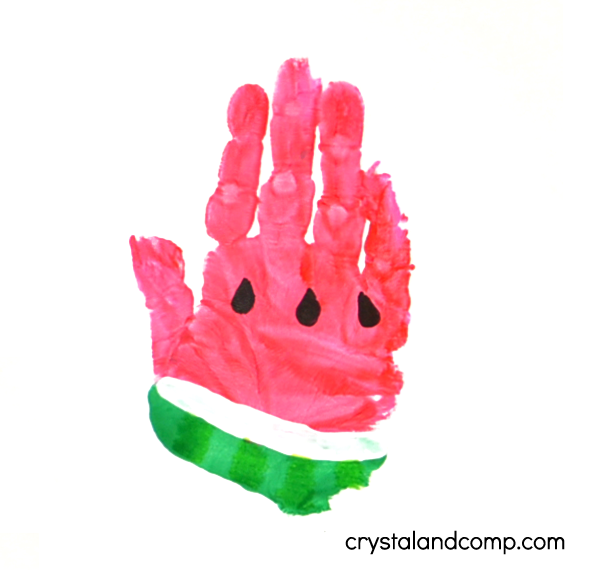 We have a food-themed section over on Fun Handprint Art that we would love for you to check out! It includes ideas for a carrot, handprint apple, jalapeno (so cute! ), pumpkins, apples, and more! See you next week for and xylophone craft! 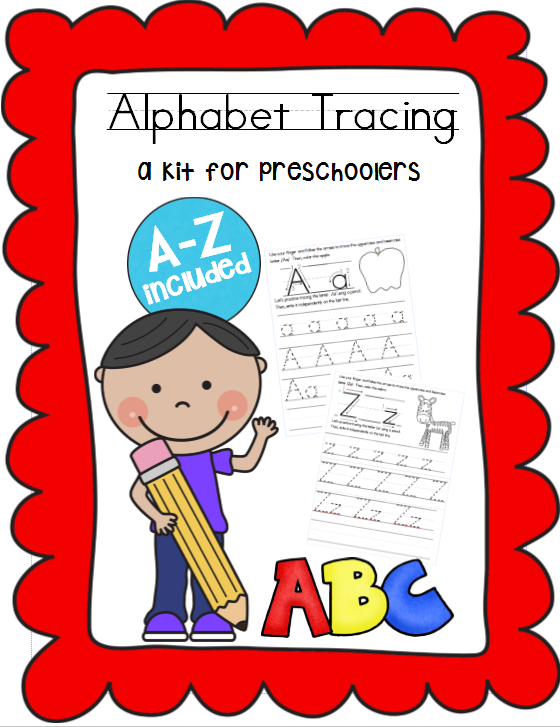 Check out these Handwriting Practice Worksheets for alphabet learning with your preschooler! I miss doing these learning crafts with my kiddos when they were younger. Thanks for sharing at the This Is How We Roll Link Party on Organized 31. Such a cute craft! I wish my daughter were still homeschooling – I know she would have loved this!